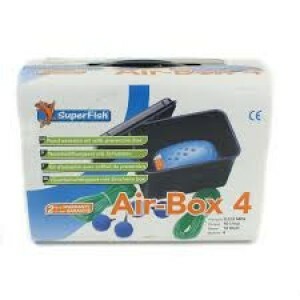 The superfish air box 4 is an ideal way to add some essential oxygen to your pond or quarantine system. 4 outlet, 600lph air pump. Weatherproof box to protect from rain / splashing.